This school year I’m emphasizing the importance of offering students meaningful feedback. By meaningful, I mean that the feedback gives students opportunities to reflect and make better or more informed decisions in the future. This type of feedback is especially important in math as it allows the teacher to correct misconceptions and help guide students through mathematical processes. Feedback can come in a variety of forms, such as informal, formal, written, verbal, and even digital. I’ve found that helping students discover mathematical processes can be accomplished through guidance and timely feedback. I believe that these events not only increase student ownership, but also give opportunities to listen and give feedback to individual students. This week’s #mssunfun post is about “one good thing” this school year. So for this week I’m going to showcase my newest student feedback tool. 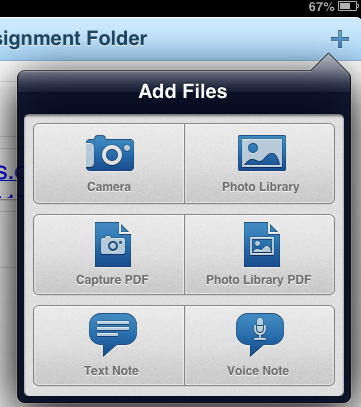 I’m excited to use the Showbie app (free) this year to give student feedback. Once students complete their digital projects, (e.g. Educreations project) they submit their project through Showbie. I’m then able to view and give students verbal or written feedback on their project. Once logged in to their Showbie account, students are then able to hear their teacher’s feedback from an iPad, iPhone, or computer. It’s been two weeks since I introduced Showbie to my students. I’ve received mostly positive feedback from my students and their parents. My students continue to look forward to receiving verbal feedback. 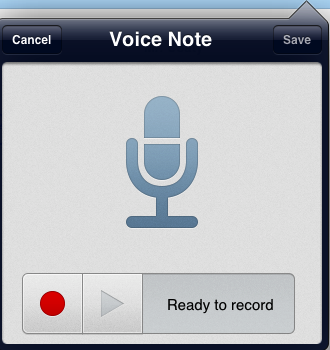 What’s nice is that I can record the feedback anywhere and the students access the recording at a later time. I’m probably going to grade most of their digital work through Showbie’s voice and camera functions (like taking a picture of a finished rubric). Students and parents can then access grades and feedback on assignments throughout the year.